Nearly 4.6 million Americans, ancient hunter-gatherers also suffered from clogged arteries, revealing that the plaque build-up causing blood clots, heart attacks and strokes is not just a result of fatty diets or couch potato habits, according to new research in The Lancet. The researchers performed CT scans of 137 mummies from across four continents and found artery plaque in every single population studied, from preagricultual hunter-gatherers in the Aleutian Islands to the ancient Puebloans of southwestern United States. "This is not a disease only of modern circumstance but a basic feature of human aging in all populations," said Dr. Caleb Finch, Professor of Gerontology at the USC Davis School of Gerontology in California and a senior author of the study. "Turns out even a Bronze Age guy from 5,000 years ago had calcified, carotid arteries," he said, referring to Otzi the Iceman, a natural mummy who lived around 3200 BCE and was discovered frozen in a glacier in the Italian Alps in 1991. 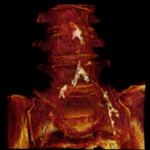 With Dr. Gregory Thomas of Long Beach Memorial, Dr. Finch was part of a team that previously showed Egyptian mummies had calcified patches on their arteries indicative of advanced atherosclerosis (from the Greek arthero, meaning "gruel" and scler, meaning "hard"). But ancient Egyptians tended to mummify only royalty or those who had privileged lives. The new study, led by Dr. Thomas and Dr. Randall Thompson of St. Luke's Mid America Heart Institute, examined mummies from four drastically different climates and diets – and from cultures that mummified regular people, including ancient Peruvians, Ancestral Puebloans, the Unangans of the Aleutian Islands and ancient Egyptians. "Our research shows that we are all at risk for atherosclerosis, the disease that causes heart attacks and strokes – all races, diets and lifestyles," said Dr. Thomas, medical director of the MemorialCare Heart & Vascular Institute at Long Beach Memorial. "Because of this we all need to be cautious of our diet, weight and exercise to minimize its impact. The data gathered about individuals from the pre-historic cultures of ancient Peru and the Native Americans living along the Colorado River and the Unangan of the Aleutian Islands is forcing us to think outside the box and look for other factors that may cause heart disease." "We found that heart disease is a serial killer that has been stalking mankind for thousands of years," Dr. Thompson said. "In the last century, atherosclerotic vascular disease has replaced infectious disease as the leading cause of death across the developed world. A common assumption is that the rise in levels of atherosclerosis is predominantly lifestyle-related, and that if modern humans could emulate pre-industrial or even pre-agricultural lifestyles, that atherosclerosis, or at least its clinical manifestations, would be avoided. Our findings seem to cast doubt on that assumption, and at the very least, we think they suggest that our understanding of the causes of atherosclerosis is incomplete, and that it might be somehow inherent to the process of human aging." "Atherosclerosis starts very early in life. In the United States, most kids have little bumps on their arteries. Even stillbirths have little tiny nests of inflammatory cells. But environmental factors can accelerate this process," Dr. Finch said, pointing to studies that show larger plaques in children exposed to household tobacco smoking or who are obese. Does this contradict the conventional wisdom about eating less fat and more fibre? And, while infection and inflammation may have caused the lesions, what is behind the build up of plaque? Our research results don't mean that some diets aren't healthier than others. In fact, we encourage people to eat a healthy diet, to exercise, and to take care of problems like high blood pressure and high cholesterol. We might have less control over preventing heart disease than some would like to think, but we should all still control the parts of the process that we can control. Regarding less fat and more fiber in the diet, there is a proposed benefit for preventing colon cancer. We don't have any results to help with that issue.